Vancouver has a moderate oceanic climate consisting of a relatively mild winter and summer climate condition and is situated in hardiness zone 7-8. A hardiness zone is the geographically defined area which specifies where a plant can grow according to its ability to withstand the minimum temperature of the zone. Vancouver’s coastal location has one of the wettest and foggiest weather condition of Canada’s cities. It is a region of diverse topography leading to varying weather patterns. This student work was conducted on downtown Vancouver, in an area ranging from the Yaletown Roundhouse to the seawall along the north side of False Creek, where giant residential buildings conspicuously distinguish themselves from the rest of the overall landscape. There are multiple distinct mixings of light and shade, wind speed, and moisture conditions with different spatial arrangements. When studied at a smaller scale, these factors lead to a set of local atmospheric conditions that differ from the overall surrounding environment: a set of microclimates. The work attempts to reclassify the given climate system in a more precise and small-scaled manner that aligns with the existing microclimates found on-site. 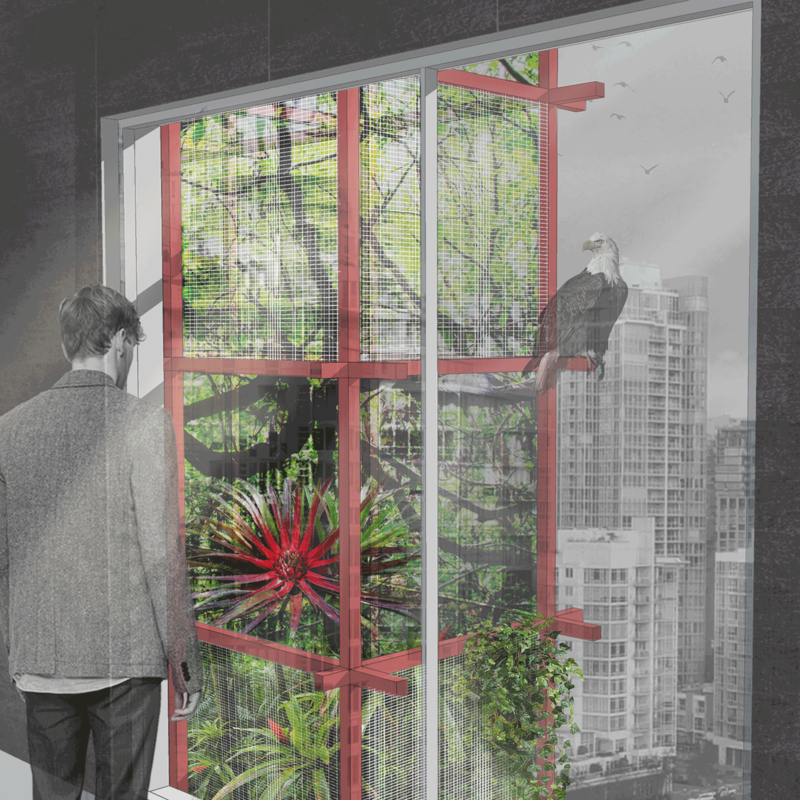 In so doing we set a goal to utilize the identified microclimate to accommodate a greater diversity of habitats and design well-integrated public spaces for human comfort.